1. Leave a clear path. 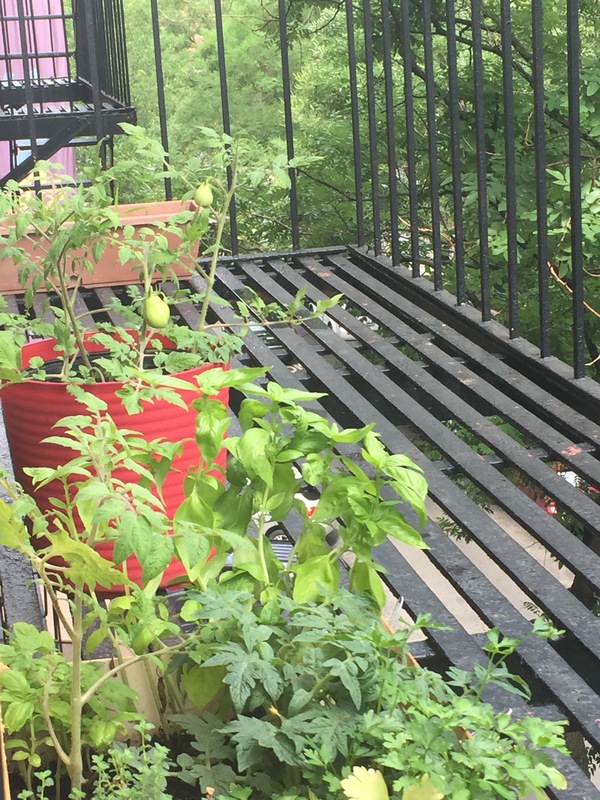 When I first started my little herb garden, I bought basil and dill from the Union Square Greenmarket, and I thought they looked really pretty on the steps of my fire escape. This only lasted a short time before I realized this is highly illegally and would not leave a clear path if there actually was a fire. 2. Repot or soil! Plants need extra room to grow. 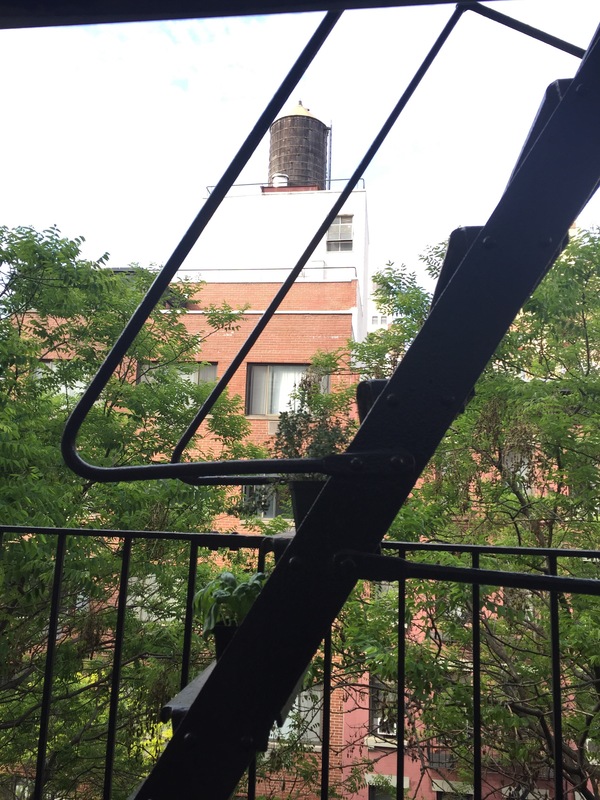 At first, I had no idea where to go to buy soil or pots for my growing herbs. 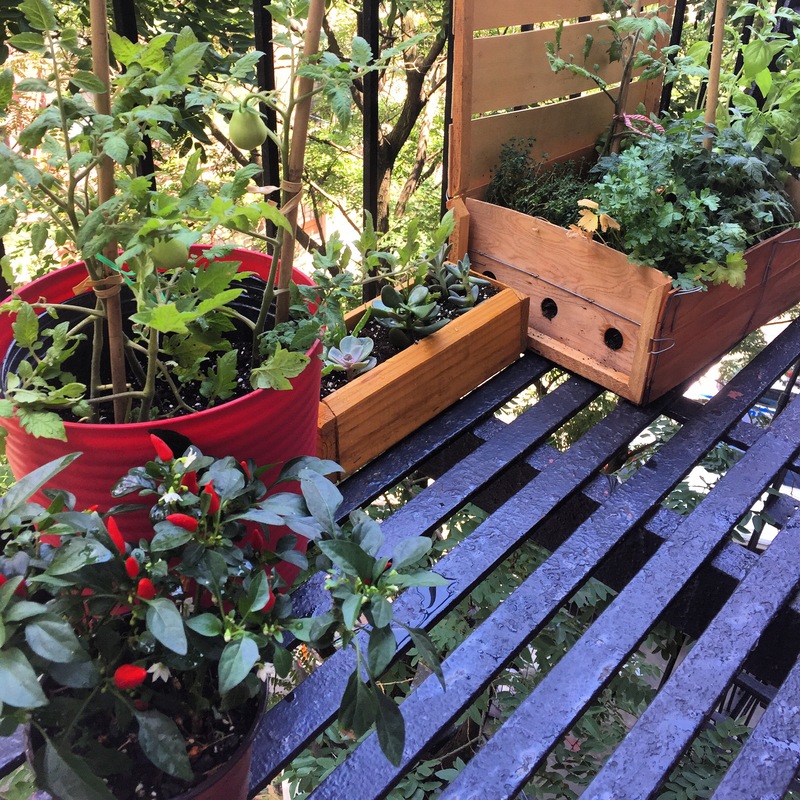 One Sunday morning adventure took me to Whole Foods and I got a crate for free (all you have to do is ask) and organic potting soil for my baby herbs. 3. 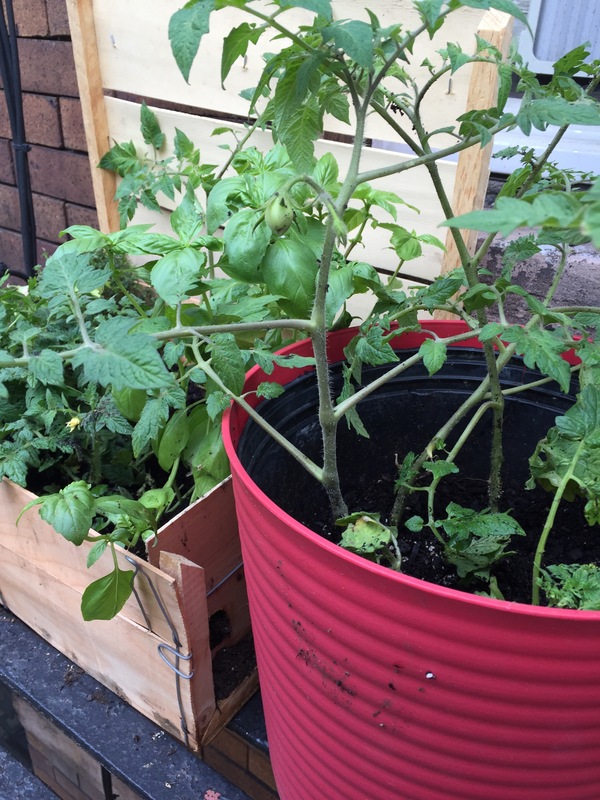 Grow tomatoes in their own pot. 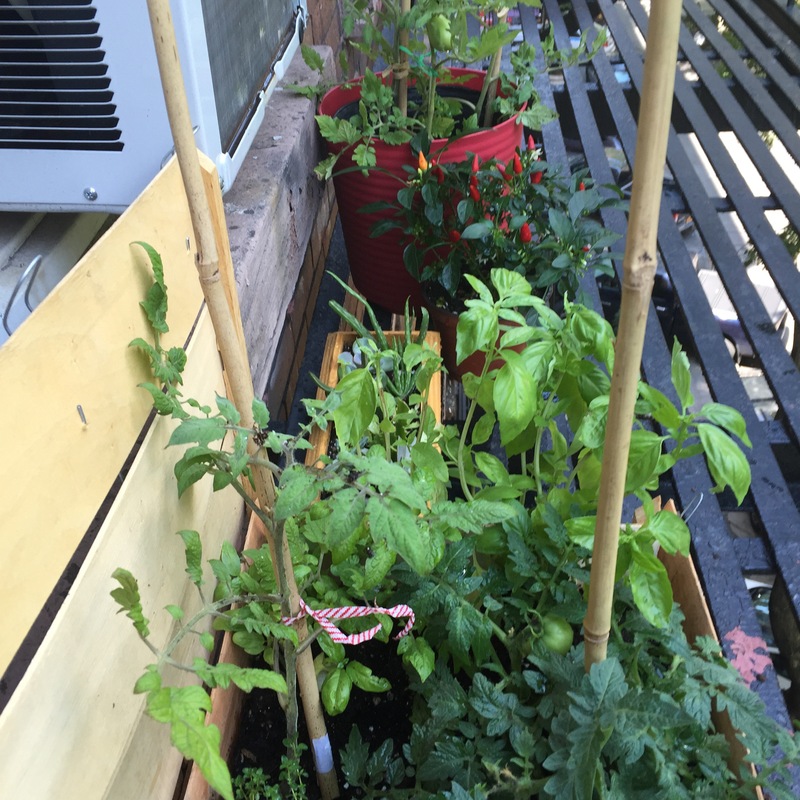 Tomatoes grow really fast and they need room to grow. As soon as the tomatoes start growing larger, they need more and more support. I added bamboo sticks to hold them up! Can anyone identify what kind of tomatoes they are? 4. Plant what you will eat. Tomato mozzarella is a summer staple. 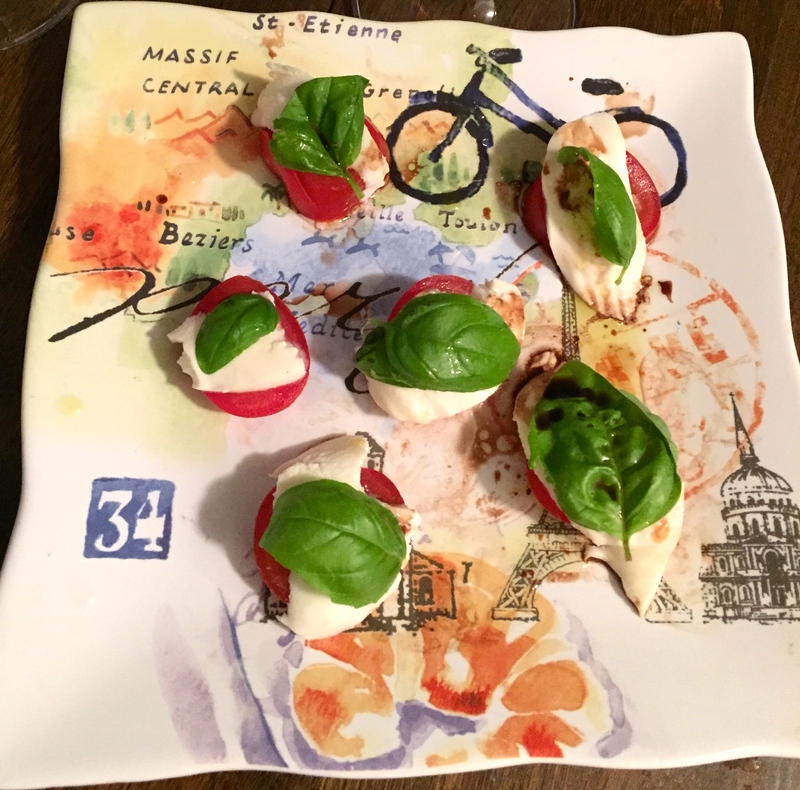 Knowing that it comes from your own herb garden makes it even more delicious and savory. 5. Have fun and try not to get out of control. (It’s a little too late here). As you can see, I still have a lot to learn. Do you have an herb garden? Send me your tips! Thank you! 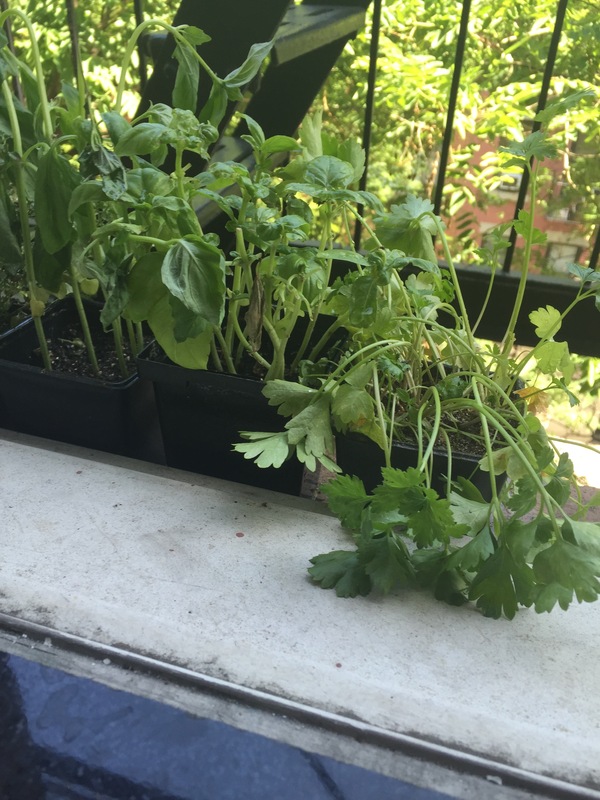 Growing herbs is so fun. 🙂 Do you have any? You have a lovely herb garden. I always have basil, parsley & rosemary in my garden. Those are my staples. Thank you! Those are good choices! I could use some rosemary. I like that tip about getting crates from Whole Foods. Such a good idea! 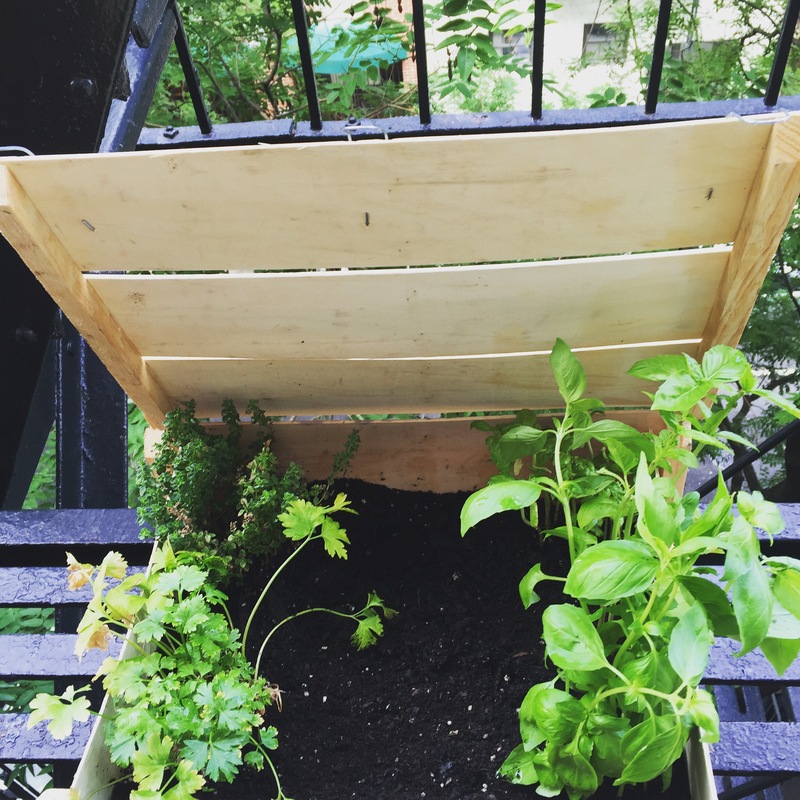 Your herb garden is looking great! I grow lavender, mint, lemon balm, bee balm, rosemary, thyme, chamomile, St. Johns Wort, nettles, poppys, roses, hollyhocks, and calendula in my gardens all used in my skin care line. We only use the rosemary and thyme to cook with. We use the mint and lemon balm for teas. Nice. sounds like a good idea.